We are the best for all of your towing needs! The Low Loader – With its exceptional strength and range of motion, our signature Low Loader Car Carrier is the perfect solution for any vehicle transportation company or outfit. It’s twice as strong as an average car carrier. The standard bed is rated for 20,000 pounds, so it can stand up to any job, and looks good doing it. If you opt for the industrial version, that bed is rated for 40,000 pounds. It’s built to last, and even the smallest components are designed for strength, longevity, and ease of ownership. With the lowest load angle in the industry, the Low Loader gracefully collects even the lowest high-end luxury vehicles, sports cars, and custom or lowered vehicles…you know, the ones that no one can do. Well, now you can with our help. Safely and with confidence. With the highest dump angle in the industry, you can dump the junker or total-loss vehicle in just seconds. The Low Loader is built from scratch in our state-of-the-art Detroit facility, by our expert craftsmen. Service – Whatever truck your company is using now, bring it to Detroit Wrecker for service, maintenance and repairs. Our Service Team has the expertise and experience to keep your vehicles in top condition. Our Parts Team stocks pieces, parts and accessories from all the top names in towing, and our facility is a full-service repair, mechanic, manufacturing and fabrication shop. 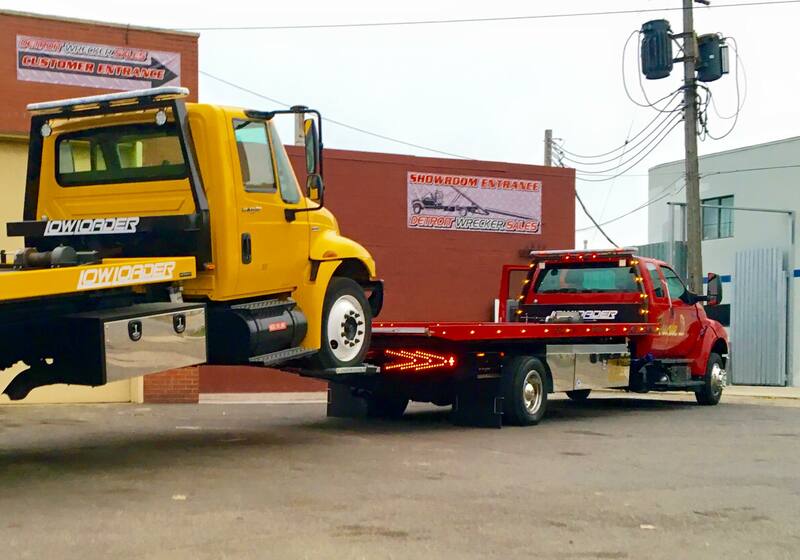 Whatever you need, Detroit Wrecker will take care of it!